Augie Guarino first came to Soep in 1983 as an apprentice and from his very first day, he knew this was where he was meant to be. 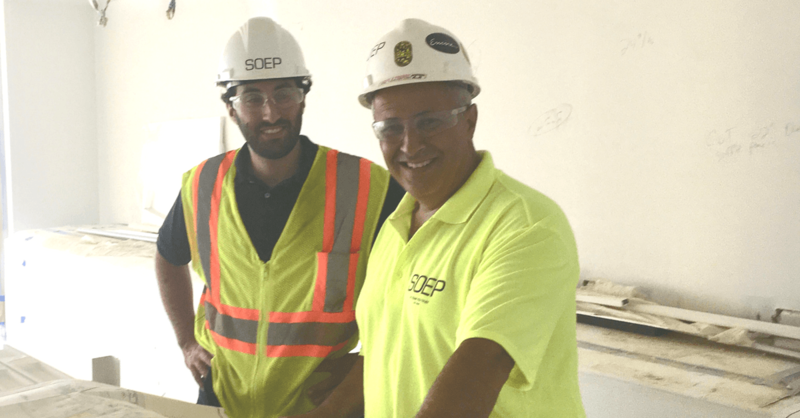 Augie quickly worked his way up from an apprentice, learning his trade and gaining valuable experience which began under the leadership of Howie Soep.  Over the years, Augie has seen many changes within the company and recalls that when he first joined the company, Soep mainly worked on commercial projects. He has been along for the whole transition and expandion to include a more diverse range of services that includes industrial projects, spray foam insulation and much more. This year marks a milestone as Augie celebrates 35 years with the Soep family. Augie loves the "one-owner, family-feel" that has always been a hallmark of Soep. He proudly explains that one reason he loves working at Soep is that it's never had a "corporate feel." Augie recognizes that there aren't many companies with a president like Matt, who is always "just a phone call away." The communication and approachability trickles down through the entire organization. Regardless of who you need to connect with, "you call them, you get them, you talk with them." He further credits Matt Soep, current president, with getting the company adept with more types of finishes, which has brought a lot of newer, younger talent into the family. As he looks around at the succeeding generation of the Soep family working alongside those he's known for years, Augie is proud to say that most of the painters in the Soep family have worked for him at some point in their career. He's glad the newest members of the team are learning everything there is to know about delivering high quality results and being team players every step of the way. Which brings us to Mike, Augie's son. After studying finance in college, Mike worked as an accountant for a bank in Arlington. Augie recollects on how proud he and his wife were when Mike went to college but were absolutely elated when they learned of their son's decision to join the Soep family. Mike says he decided to take a "leap of faith" and told his dad he wanted to join the Soep family. He explains, "I decided to take a chance on Soep and I'm glad Soep took a chance on me". Currently, Mike works as an estimator for the company and feels he has an advantage when it comes to the highly detail-oriented aspects of his job because of his education and background in finance. Mike explains that Soep is much different than any other company he's worked for. He feels right at home among his co-workers and peers and appreciates the fellowship and willingness to help that everyone shares. Although it isn't often necessary, Mike appreciates the fact that he can reach out to his dad for answers and advice on unique projects. Mike and Augie both feel as if the six Core Values, along with the camaraderie, and immense sense of belonging that the company exudes on a daily basis has been what has kept them so passionate and resolute in their choice to remain with the Soep family all these years. We're looking forward to many more years of the Soep/Guarino partnership!